Were you to conduct the most rudimentary Google search (localized to New York City) for the terms “best first date place” “most romantic bar” or “Valentine’s Day Ideas”, Boudoir Bar (Le Boudoir) would no doubt top your results. If, however, these are the only reasons this Brooklyn speakeasy receives your patronage, you have entirely missed the point. 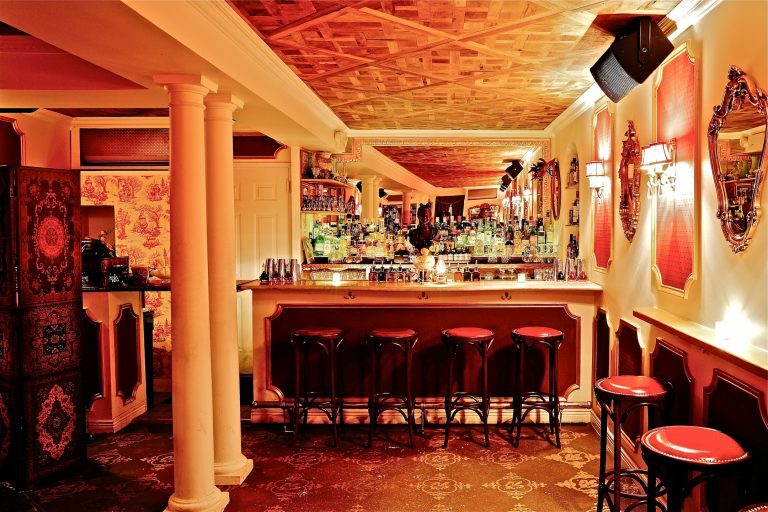 on Atlantic Avenue and hidden behind a false bookcase, a winding stairwell leads to this aptly named cocktail lounge. 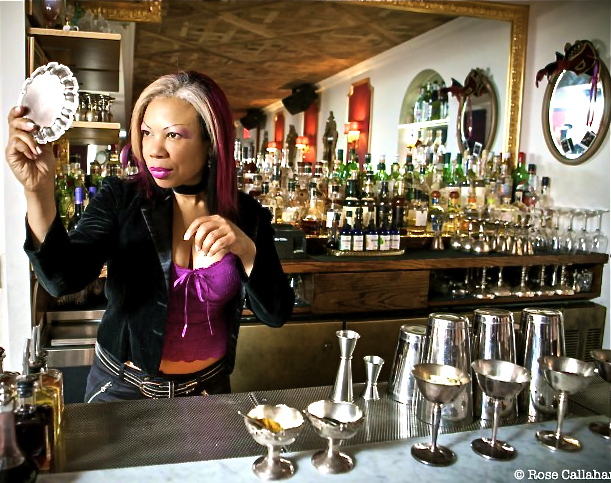 The most recent expression of bartender extraordinaire Ms. Franky Marshall, Boudoir Bar doesn’t so much scream romance, as much as it sidles up alongside you, nuzzles the nape of your neck, and whispers sweet boozy nothings in your ear. A seasoned industry professional with the likes of Clover Club and Dead Rabbit on her impressive resume, Marshall will bristle ever so slightly if you refer to Le Boudoir as “themed.” The decor is lavish: designed to evoke the opulence of Marie Antoinette at Versailles (although the rumors that it is designed to evoke Marie Antoinnette's bedroom itself are false). The cocktail menu is decadent: sumptuous cocktails like the Dauphin (absinthe, chile liqueur, almond milk, coconut, cacao nibs) and the Epice (cantaloupe, jalapeño, green Chartreuse, fresh lime, celery bitters) are as extravagantly presented as they are layered with lush flavors. Light food bites like crispy frog legs (in spicy honey sauce), foie gras torchon (with red wine apple compote), and of course, an assortment of charcuterie, fromage, and croquettes, are equally luxe, as are the dessert choices: creme brûlée, chocolate mousse, and vanilla genoise cake. This is an establishment designed to indulge every epicurean impulse. It is also a neighborhood bar. It’s the truest gospel of the hospitality industry: a great mixologist makes you happy you received a well-made cocktail. A great bartender makes you happy you came to the bar. What makes any bar great isn’t why you go–it’s why you go back. Boudoir happens to be a fantastic first-date/romantic evening/Valentine’s Day treat (although if you haven’t made your V-Day reservations by now, you’re probably out of luck). But why wait? With a gorgeous backroom that seats 15 (and stands more), it’s also an ideal place to host small parties. It’s the kind of place where, were he alive, you would not be surprised to find F. Scott Fitzgerald imbibing after hours, nestled betwixt the nooks and crannies, deep in palaver, imbibing gratuitously. It also happens to be a part of NYC history - having once been part of the Atlantic Avenue subway tunnel. Boudoir is the kind of place where, on any given night, you can eat and drink like French royalty during the final days of the monarchy. Sure you could belly up at any pub: New York City (and Brooklyn in particular) are rife with them. But really, given the stresses of everyday life in 2018, couldn’t you use a bit of casual decadence? Beer Review: Prairie Artisan Ales Bomb!